ITHACA, N.Y. — Cypress Creek Renewables, a national solar developer, announced the launch of a groundbreaking study with Cornell’s College of Agriculture and Life Sciences to determine the ecological and economic benefits of pollinator-friendly habitat on community solar farms in New York. The three-year, $100,000 partnership builds on Cypress Creek’s commitment to include abundant pollinator habitat at all of its solar projects in the state. Pollinators — including bees, butterflies, and hummingbirds — are currently declining in North America and elsewhere. 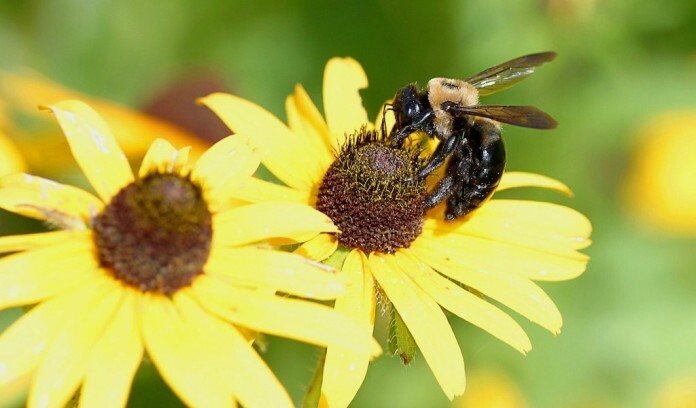 For example, of the 412 species of wild bees in New York, 53 species are known to be experiencing population declines, 42 are considered vulnerable, and one species was recently placed on the Federal Endangered Species List. Meanwhile, New York’s agricultural economy is highly dependent on bees, which are estimated to contribute $500 million in pollination services annually to crops such as apples, cherries, pumpkins, strawberries, blueberries, squash, and beans. Alfalfa, a primary food stock for dairy cows in New York State, also depends on pollinators. As communities across the state increasingly demand access to clean, local energy, solar farms demonstrate an opportunity to generate more than affordable electricity and reverse the decline of New York’s pollinators. Considerable evidence suggests the loss of habitat is a leading cause of pollinator harm, and thus, improving habitat by planting native pollinator-friendly species on solar sites can likely have a rapid and measurable impact on the conservation and restoration of pollinator populations. To date, no studies in the US have quantified the benefits of pollinator-friendly plantings on solar sites. Until now. Cornell will also be partnering with NREL through the InSPIRE project to evaluate benefits of pollinator-friendly solar.